I wanted to share some important updates with you regarding Mighty Earth’s work around the world to make agriculture environmentally and socially responsible. Also, stay tuned for a big announcement on the expansion of our work for clean energy. First, we’re very pleased to announce that the world’s leading chocolate companies, including Mars, Hershey, Mondelez, Nestle, Cargill, Olam, and Barry Callebaut and several others have committed to a groundbreaking plan to end deforestation in the chocolate industry, and invest in restoration of the forests of Ivory Coast and Ghana. 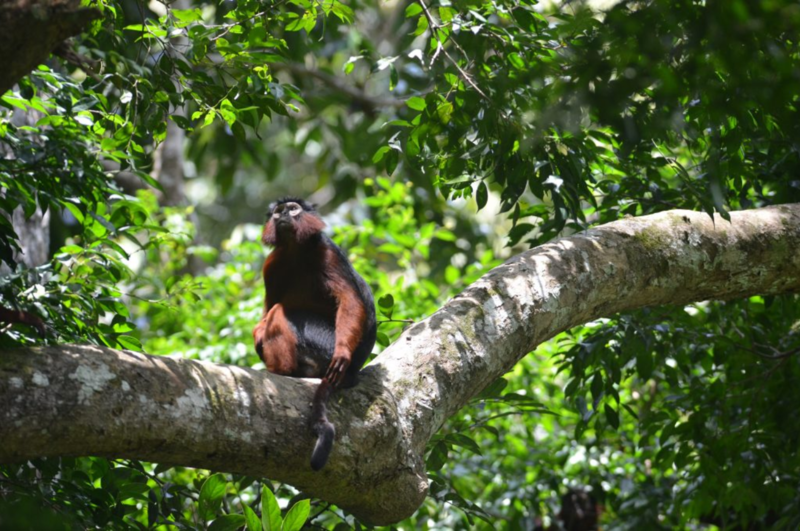 The announcement follows Mighty Earth’s “Chocolate’s Dark Secret” report, which documented how up to 40 percent of Ivory Coast’s chocolate came from the destruction of national parks and protected areas, decimating populations of wildlife like chimpanzees and forest elephants. In this effort, we worked with IDH – the sustainable trade initiative, the Prince of Wales’ International Sustainability Unit and the World Cocoa Foundation as well as the governments of Ivory Coast and Ghana to hammer out these commitments. This initiative has been a model of civil society working together with governments, donors and companies to drive very rapid progress for a whole industry, and we’re proud to have played a role. We are also grateful to the Arcus Foundation for making this campaign possible. Read more about this breakthrough, and the steps the chocolate industry needs to take to implement it here. On October 23, I had the opportunity to join Prince Charles and many government and business leaders for a meeting to discuss private sector action to stop deforestation. This meeting also afforded us the opportunity to discuss our efforts to protect Gabon’s forests, wildlife and communities with Gabonese president Ali Bongo Ondimba. At the meeting, 23 of the world’s largest meat sellers and soy end users, such as McDonald’s, Wal-mart, and Tesco, publicly called for soy and meat companies to stop driving massive destruction of South America’s native ecosystems. 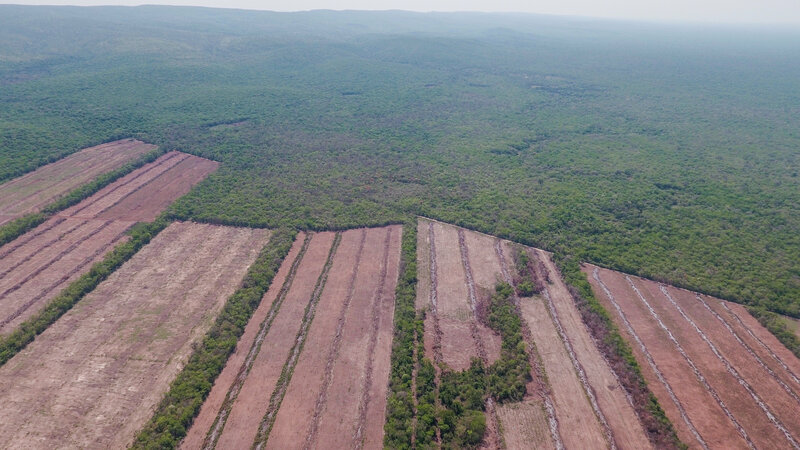 The companies announced their support for the Cerrado Manifesto, a call by Brazilian and international NGOs, including Mighty Earth, to end destruction of the Brazilian Cerrado’s highly biodiverse native ecosystems and instead focus development on the regions tens of millions of acres of previously deforested, degraded land. The companies’ action came after months of pressure from Mighty Earth and our allies on these companies to act, as well as our widely covered “Mystery Meat” exposé. Deforestation for soy in Bolivia, documented by Mighty Earth’s investigation. Photo: Jim Wickens, Ecostorm/Mighty Earth. Unfortunately, companies directly responsible for driving the destruction of these ecosystems – such as Cargill, Bunge, and ADM – have colluded to deny their customers the responsibly produced meat consumers demand. What’s especially shameful about these companies’ failure to act is that they are just being asked to repeat their own decade-long success through the Brazilian Soy Moratorium, where they have managed to expand soy production by six million acres without deforestation. We hope that consumer companies like McDonald’s, Walmart and Ahold Delhaize will back their words with action and shift their meat and soy purchases to companies that provide feed that is free of connection to the kind of destruction we’ve exposed in Brazil’s Cerrado and the Bolivian Amazon basin. It’s possible to provide all the protein that America and the world need with a fraction of impact on land, water and climate that the meat industry currently uses. But the American meat industry has, through decades of concentration, purchased feed and managed livestock with little attention to these impacts. This summer, Mighty Earth launched a major effort to make US agriculture far more sustainable. In June, we published groundbreaking research that mapped for the first time the relationship between major meat and feed companies’ facilities and agricultural water pollution pouring into the Mississippi and other American waterways, and that was largely responsible for this summer’s largest-ever dead zone in the Gulf of Mexico. There is no company more responsible for this environmental crisis than Tyson Foods, America’s largest meat company. 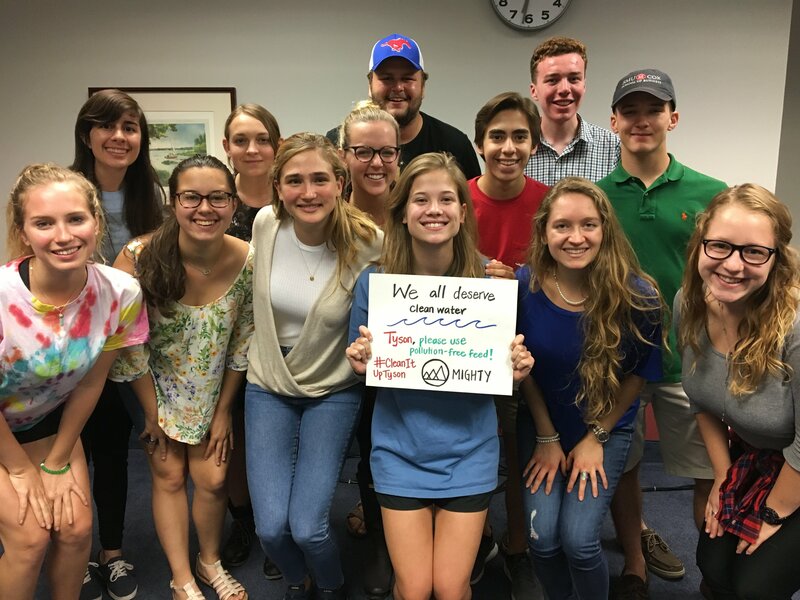 Thanks to generous support from the David and Lucile Packard Foundation, we’ve been able to work with Green Corps and organizations like the Gulf Restoration Network and Care2 to extend a grassroots push to change Tyson across the Midwest and Gulf of Mexico. More than 230 local organizations and thousands of volunteers have taken action to urge Tyson to change. The campaign seems to be getting some traction. Tyson CEO Tom Hayes recently appeared on CNBC’s Mad Money show with Jim Cramer to discuss growth prospects, and the conversation centered on Tyson’s ability to grow while providing sustainably sourced meat. While Tyson has yet to take any meaningful steps to back their in-principle commitment to sustainability, it shows that grassroots demand in the heartlands is being heard. We’re going to keep it up. Across our work focused on changing the private sector, we’ve found powerful allies in institutional investors like Green Century Capital Management, New York State Pension Fund, and the Norwegian Pension Fund, which use their financial might to persuade companies in which they invest to improve their environmental performance. California’s pension fund, CalPers, has shown leadership by shifted investments away from coal, but has unfortunately continued to invest in companies like Bunge and Posco that engage in deforestation around the world. Mighty Earth’s Chairman, former Congressman Henry Waxman, this week took to the pages of the Sacramento Bee to call for CalPers to extend its leadership to forests. We’re doing a lot, but a lot must be done. Thank you to everyone who has contributed to making this progress – and the progress yet to come – possible. Please don’t hesitate to get in touch. P.S. You can provide urgently needed for support Mighty Earth’s campaigns with a tax-deductible contribution through our parent organization, the Center for International Policy. Just click here, and choose Mighty Earth from the drop-down menu. Thank you!